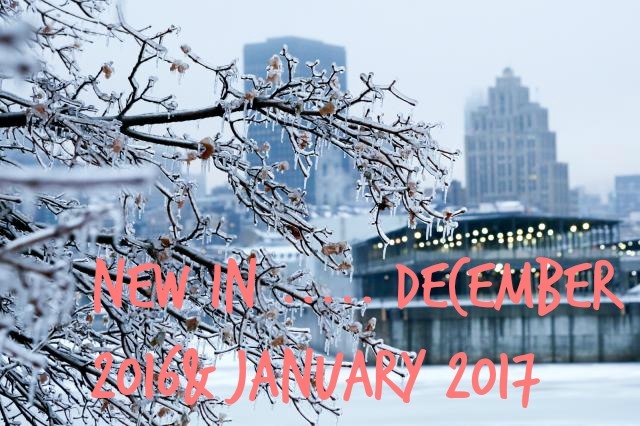 Previous month I didn`t talk about my new in in so I decided to write a post, which will include both month, december and january. December was a very busy month for me, there was nwe christmas themed limited editions everywhere and the discounts after christmas. So because of that I order a little bit more items, but it was christmas ! It was the perfect to fulfill my makeup wishes, dont you think? And after the cgristmas, in the middle of january you can smell that valentine`s day is coming. Pink and red themed collections with heart design, oh my god, that isjust perfect for me ! So let`s get started, I`ve got so many things to show you. Few bits from the beginning of the december. Essence glitter in the air metallic eyeshadow in the shade 01 dream on is gorgeous rose gold colour and metallic finish. It`s easy to apply, but I first take a small amount on my hand than I apply it one lid. Misslyn you glow girl strobing cream quickly became my favourite highlighter, it applies and blend so easily. You can find it also in my top 10 products of the last year. 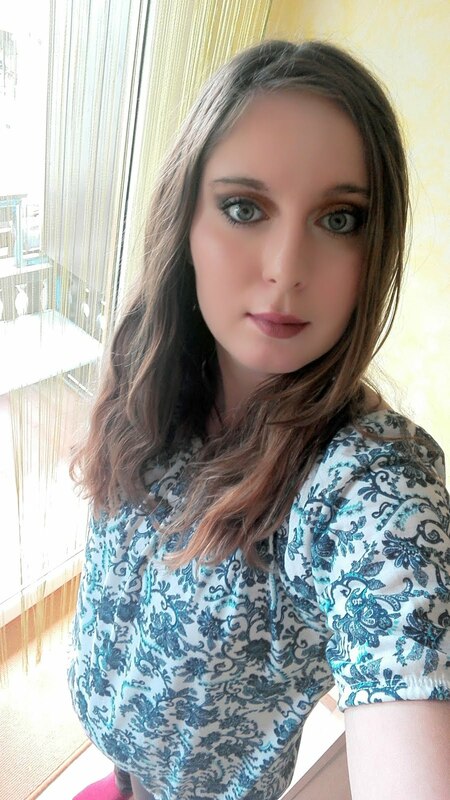 Deborah Milano velvet fluid mat lipstick is my favourite drugstore so far, it doesnt have a disgousting smell, it`s so pigmented and the colour is just gorgeous. I take take the shade 08, but now I`m thinking of buying another shade. I aslo did a small order from avon. I ordered new supreme nourishing lipstick in shade rose revival and true colour lipstick in shade rose shimmer and I decided to give it a try to colortrend face primer. essence released so cute winter limited edition, called winter glow. I ordered liquid glow perfection cream, which is nice, I mostly use it at the weekends and it`s surprisingly quite well pigmented, and the shade is not too dark for me. I ordered both cushion lipstick, but they didnt impress me. They are so drying on my lips, and the pigmentation it`s not the best, also the blush has a nice shade but it`s nothing special to me. Lip scrub is the worst product in this LE for me, it`s not even scrub beacuse it doesn`t contain any rough particles in it. White lip liner is quite ok.
And the most exiting limited edition from catrice this year ! The main theme of this LE is strobin and if you may know I love everything glittery and sparkly, these highlighters were must have for me ! I bought glam & doll mascara, and it`s ok, It gives my lashes a nice volume, but sadly it disappears quickly too. Vinyl gloss-in-stick are nothing special, they are very sheer, I used almost three coats on my lips. Zhe most interessting this was this gel highlighter in the rose gold shade. Its not that noticeable on the face, beacuse it soesn`t have big glitters in it. I applied it with my finger and then blend it with my fingers. Face glow definer in shade golden glow is gorgeous gold toned cream highlighter. You must blend it quite quickly, beacuse it dries very fast. And the last one is illuminating serum primer. I use it all month long, it was great for the winter time. Some of slovenian beatuy blogger played secret santa game this year too. And this was my gift I received from lovely Katja Grudnik. She write an amazing blog Viva la Vida, go and check her out. All of the gifts are very lovely, I tried the ysl lipstick for the first time in my life. Eyeshadows are awsome, and also the beyu lipgloss. And again avon. Avon relesed new fragrance, called imari elixir. It smell so nice, its something special I can`t describe it. And my beloved prime and set spray, I use it all the time. This nuxe huile prodigieuse Or was highly discounted on sophia website. It was for 14€ with the shipping, so I immidiately order it beacuse this dry oil was on my wishlist for so long, I also received a bunch of samples. This Makeup Revolution flawless matte 2 eyeshadow palette I received on ličila.si instagram page in their christmas giveaway. But so far I didn`t have to try it out. I finally order this beauty from zoeva official website. I`s the best eyeshadow palette I own, the pigmentation just blow me away ! The shades are so nice and warm, suitable for everyday, and they blend like heaven! Defintely one of my best buys in the january! Essence released valentines`s limited edition called we are... I ordered fake eyelashes, cosmetic bag, multicolour blush and a mini perfume. And the new catrice ombre lipstick in the shade 010 rockabilly rose. Also Lidl surprised me this month. They kindly sent me a package, full of ladies stuff. so far I didn`t try anything out. Thanks a lot Lidl! Also Avon was surprising last month. They kindly sent me their supreme nourishing mascara and two lipstick in shades red creme and softest peony. I love the lipsticks, they are just great and nourishing but the mascara is nothing special. Thanks a lot avon! After a month and a half of waiting I finally received my mini jolse package. I ordered A`pieu rilakkuma lip oil, which is great. It moisturises my lips ver well. I also ordered lip serum.You applied before applying matte liquid lipstick. This one I didn`t try out so far. The last thing is milk&honey sleeping pack which is so great ! My lips are so soft and moisturised in the morning! My kiko haul from Seiersberg. I couldn`t resist buying anything from in the name of fun limited edition for valentine`s day. I grabbed face brush with the cute heart design, multicolor blush and a heart shaped lipstcik in the shade 01, which is such a lovely rose mauve shade. I love it. I aslo stopped in austrian dm for a few minutes. I took ebelin highlighter brush and a new black blending sponge, which sadly they don`t sell them in Slovenia. They both are quite ok, blending sponge is quite soft and a brush applies nicely all sort of highlighters. Lovely Natalija and team Dominur suprised me this month as well. They kindly sent me new catrice the precious copper eyeshadow palette, which is by the way so gorgeous ! And the pigmentation is good ! <3 I also received cslim`matic ultra precise waterproof brow pencil in the shade 010 light. I din`t try it out yet. So, we finally get through newbies of the past months. How do you like them ? Did you try anything I bought? Tell me in comments down below. Ja, paletka je res lepa. Ta črna gobica mi je všeč, se pri pranju ne uniči tak hitro kot pisana.